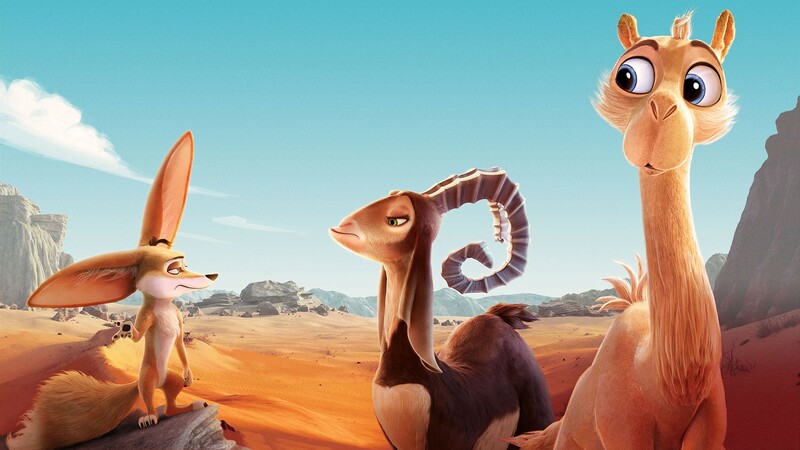 Screen International reports that Sydney-based sales agent Odin’s Eye Entertainment has inked an all rights distribution deal for our prestige, four quadrant animated feature, HUMP, with Beijing-based Vision Film Entertainment (吉光片羽電影娛樂有限公司) for Mainland China. Vision Film general director Ricky Qi is quoted saying "We are thrilled to work together with Odin’s Eye Entertainment and introduce HUMP, this great film, to Chinese audiences. When we finished reading the script of HUMP, we found it both funny but moving, much like Madagascar." Vision Film is planning to release HUMP on over 10,000 screens in mainland China. "HUMP is a genuine 4 quadrant, rollicking musical adventure and all of us here at Odin's Eye are very excited that Vision Film Entertainment share our enthusiasm. We know Chinese families, and indeed families everywhere, will respond to HUMP's vivid visual flair and positive values,” says Martin Gallery, SVP International Distribution and Acquisitions at Odin's Eye. MovieBrats Pictures' Alexander Weimer and Esther Friedrich, producers of HUMP, added in a joined statement: "China has been playing an important role in MovieBrats Pictures' business activities for a while now, and we are extremely proud of our unlikely hero, a camel, to become the next knot in our Sino-Western ties. With Vision Film on our side we are confident to establish a new brand franchise of Rami's desert adventures that will resonate all over the Middle Kingdom." Directed by Pixar veteran Rob Gibbs, HUMP is currently in pre-production at MovieBrats Pictures' affiliate animation house, MovieBrats Studios, in Berlin. It is co-produced by Brussels-based Walking The Dog and Tangent Animation in Toronto. Odin’s Eye is handling worldwide sales with UTA overseeing North American distribution and also packaging an A-list voice cast for the film.